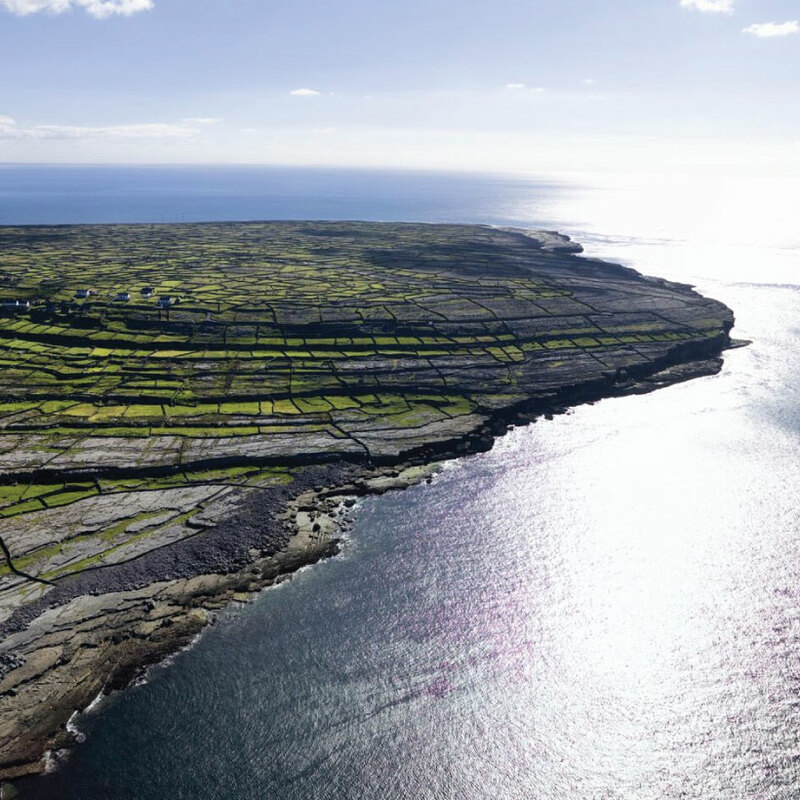 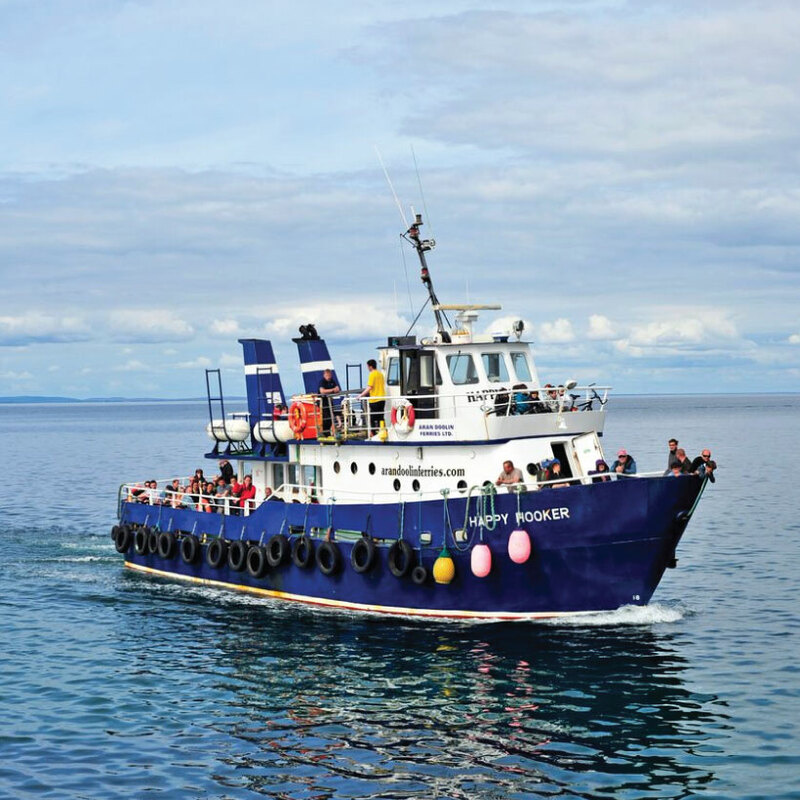 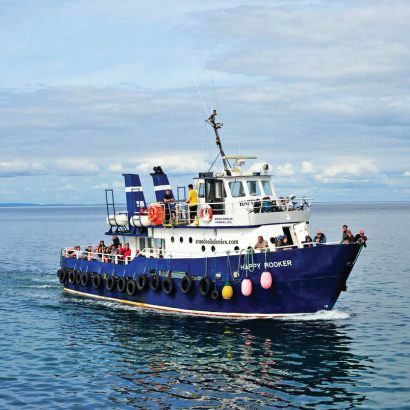 Escape to the Aran Islands for a unique getaway, or cruise around the Cliffs of Moher for some stunning views with Doolin2Aran Ferries! 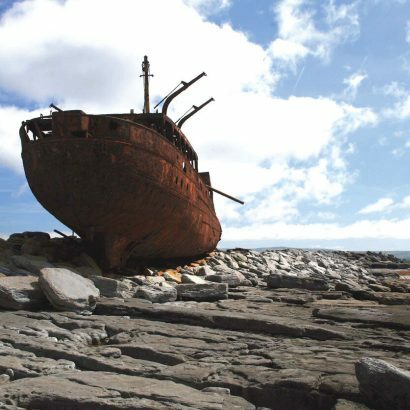 They set sail daily from Doolin to visit the Aran Islands. 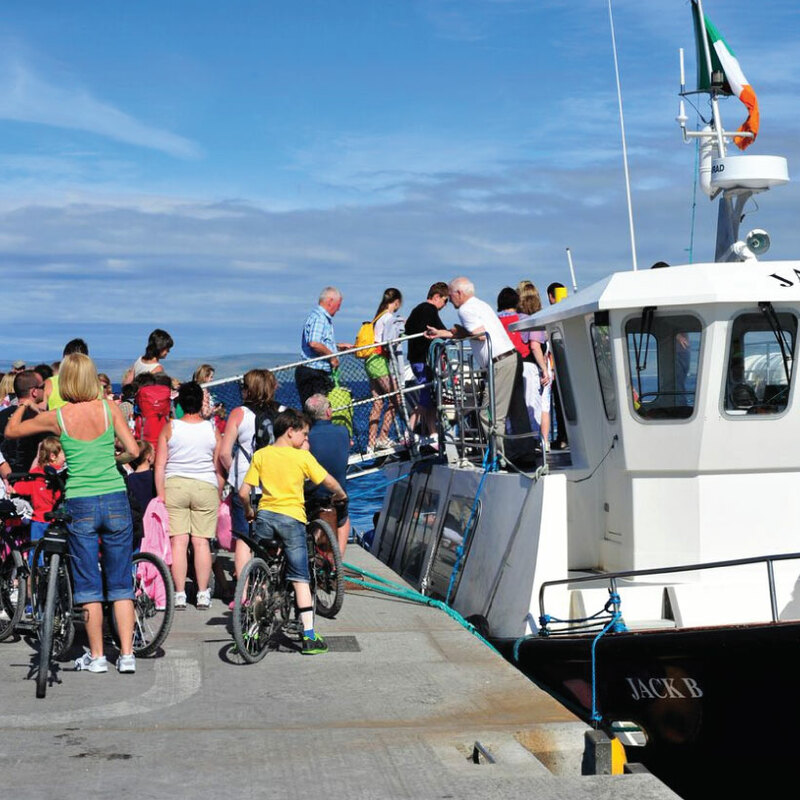 On each of the islands, you can take a pony cart, bike or tour bus. 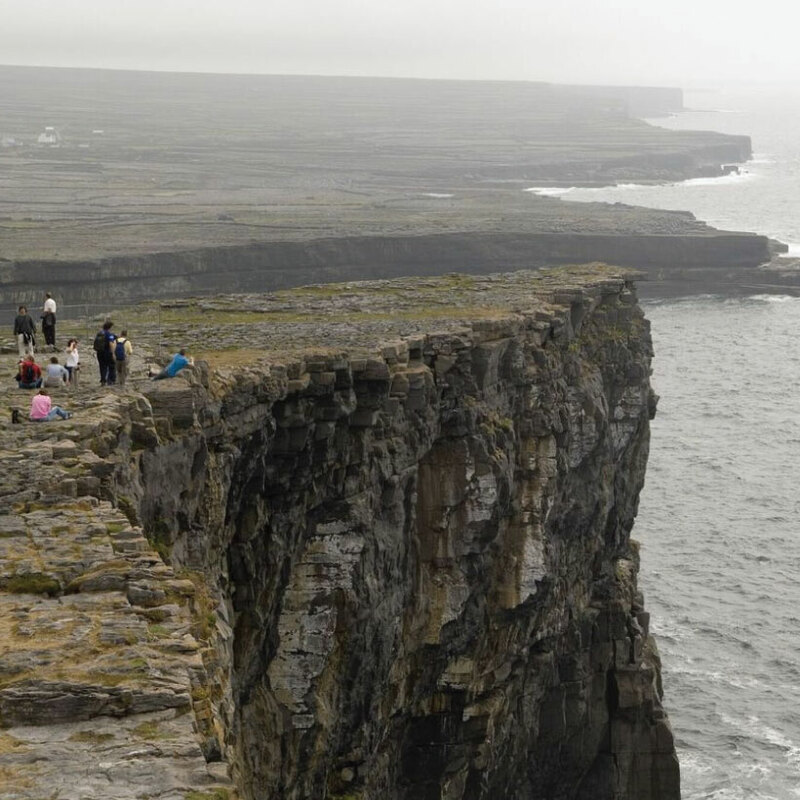 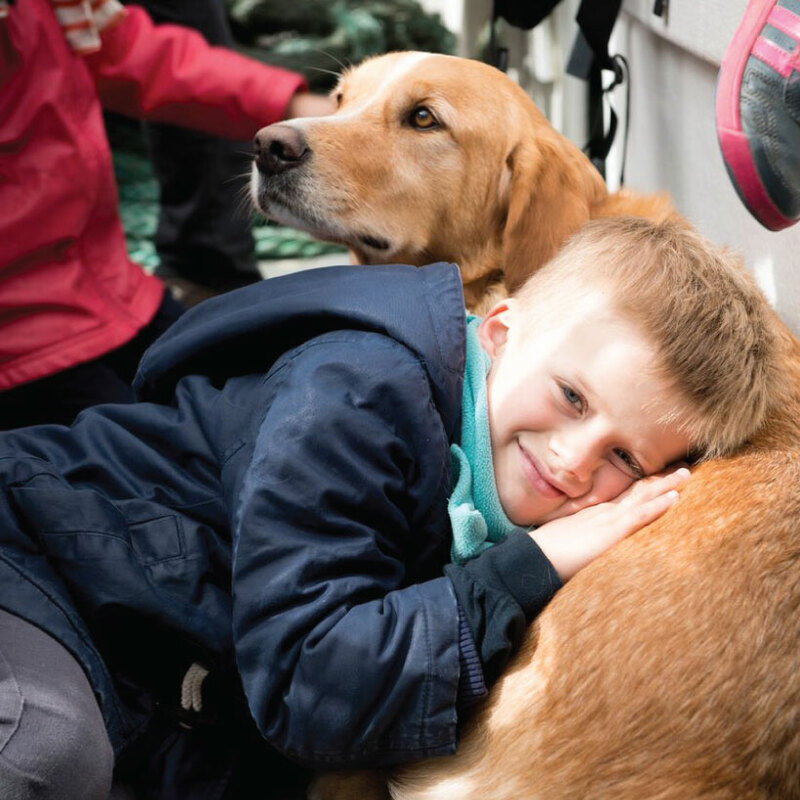 Expect to see colonies of seals, friendly horses looking for a snack, and gorgeous views of Connemara and Clare (or even the Cliffs of Moher from Inis Oirr) on a nice day — On the largest island Inis Mor, climb to Dún Aengus, the spectacular cliffside fort. Or visit the quiet and traditional Inis Meain or the sprawling beaches of Inis Oirr, the smallest island of the three. 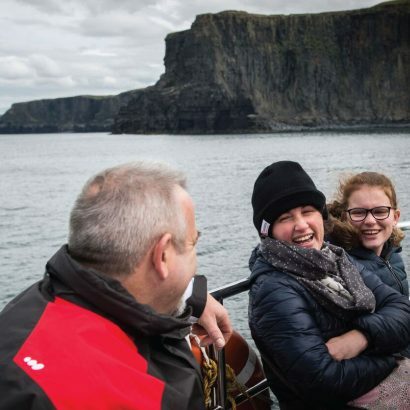 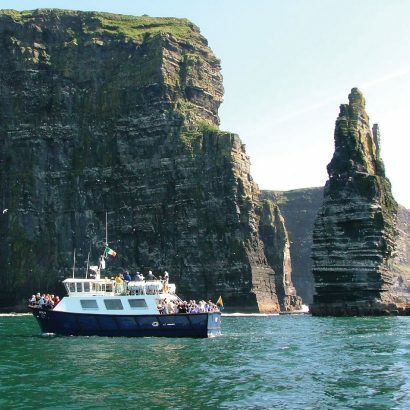 You can also take a cruise under the Cliffs of Moher, which might be one of the best ways to really appreciate how massive and beautiful the cliffs are. 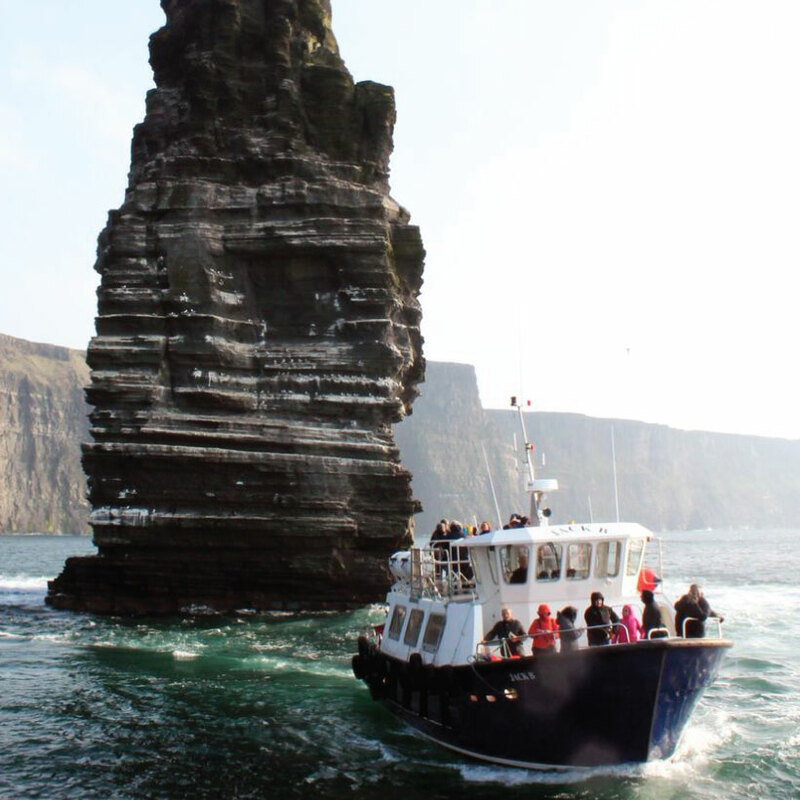 Get up close to colonies of puffins and feel the sea spray in your face on this one hour voyage!